"They built a model whose proof of fitness for purpose is that it sustained not only the two-leggeds but soils, forests, lakes, rivers, and bounteous biodiversity." Growth, whether of material “wealth” or population, cannot be sustained and some serious degrowth is overdue. 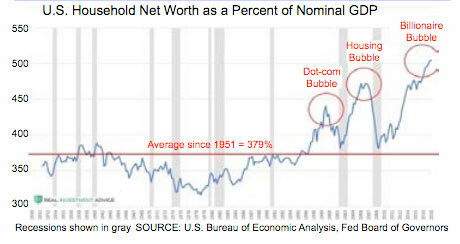 You can get as much from looking at the Baltic Exchange Dry Index or the Dow. If production cannot be decoupled from quality of life then we are chasing a paradox because we live on a finite planet of limited resources. There is good news in that at least some of our problems can be addressed by reversing climate change and building ecosystem health through a multitude of natural, antifragile and frugal means. However, none of these things are being done at any significant scale, and that scaling seems dangerously far off. 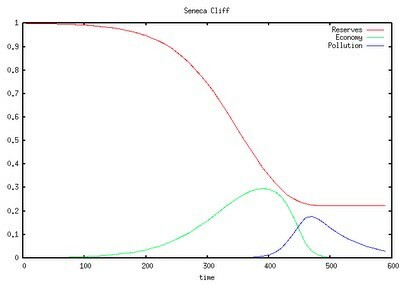 We are poised at the edge of the Seneca Cliff and will need to find a better way down than leaping without a parachute. If you found your way here you probably have heard all this before. Likely you have also heard me or someone else explain the exponential function and why that matters so much. 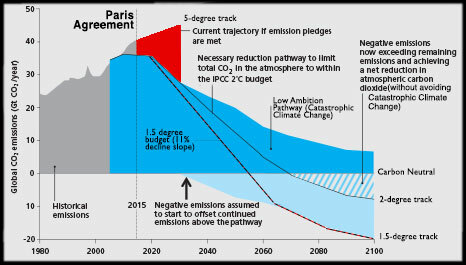 The recent IPCC report on the Paris Agreement 1.5 degree target said, owing to our procrastination, human society will need to go on a near-starvation diet of fossil fuels and to decarbonize the global economy, taking a glide path for industrial civilization with an angle downward of approximately 11 percent per year in order to halve production of anthropogenic greenhouse gases every 7 years for the remainder of the century. Trying to imagine this is like picturing the surprise of a pilot at the controls of a 737-MAX when his flight computer takes over and pitches the plane into an uncorrectable 11% dive. 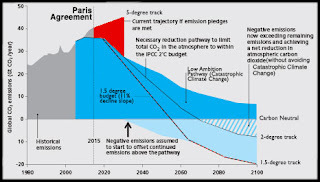 By 2050, we need to be at or close to zero emissions, IPCC says. And that will not be enough. Because we exceeded then-considered safe concentrations for warming the planet in the late 1980s to early 1990s when we crossed the 350 ppm CO2 boundary, we will need to keep reducing for an extended period after we pass zero emissions. We have to remove the legacy emissions we generated while delaying. We have to stay on the decline slope until we bring back the natural carbon equilibrium of the oceans and arrest whatever tipping points have already tipped. 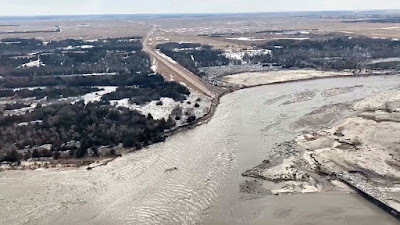 We can't rebuild the ice at the poles or put back melted glaciers but we can restore the atmosphere and oceans to something more closely resembling conditions before Col. Drake first raised oil from the ground in Titusville Pennsylvania in 1864. That is our current mandate. The alternative is near term human extinction. My readings this week pursued a different context, but the curious mind being what it is, connections were made and so now we come back around full circle. I read Autobiography of Ma-Ka-Tai-Me-She-Kia-Kiak, or Black Hawk, Embracing the Traditions of his Nation published in 1833, 5 years before the author expired at age 70 or 71. 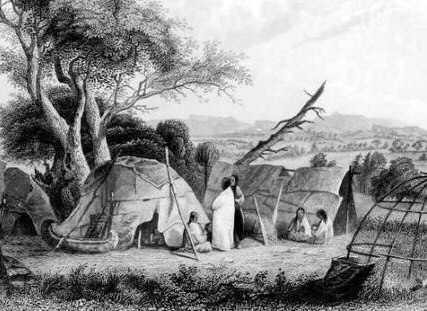 Among the stories the great Sauk chief related was how his people had lived in the Mississippi Valley in the centuries before Europeans arrived. Last week we spoke of surfer lifestyles as a way to decouple production and consumption. This week we can look at how indigenous peoples in North America created a steady-state human economy that harmonized with natural limits for tens of thousands of years or longer. They built a model sustainable society, with some features we may find abhorrent and others we could value, but whose ultimate proof of fitness for purpose is that it sustained not only the two-leggeds but soils, forests, lakes, rivers, and bounteous biodiversity, some megafauna losses notwithstanding. Here we found that troops had arrived to build a fort at Rock Island… we were very sorry, as this was the best island on the Mississippi, and had long been the resort of our young people during the summer. It was our garden (like the white people have near to their big villages) which supplied us with strawberries, blackberries, gooseberries, plums, apples, and nuts of different kinds; and its waters supplied us with fine fish, being situated in the rapids of the river. In my early life, I spent many happy days on this island. Our village was situated on the north side of Rock River, at the foot of its rapids, and on the point of land between Rock River and the Mississippi. In its front, a prairie extended to the bank of the Mississippi; and in our rear, a continued bluff, gently ascending from the prairie. On the side of this bluff we had our corn fields, extending about two miles up, running parallel with the Mississippi; where we joined those of the Foxes, whose village was on the bank of the Mississippi, opposite the lower end of Rock Island, and three miles distant from ours. We had about eight hundred acres in cultivation, including what we had on the islands of Rock River. The land around our village, uncultivated, was covered with bluegrass, which made excellent pasture for our horses. Several fine springs broke out of the bluff nearby, from which we were supplied with good water. The rapids of Rock River furnished us with an abundance of excellent fish, and the land, being good, never failed to produce good crops of corn, beans, pumpkins, and squashes. We always had plenty — our children never cried with hunger, nor our people were ever in want. Here our village had stood for more than a hundred years, during all which time we were the undisputed possessors of the valley of the Mississippi, from the Ouisconsin to the Portage des Sioux, near the mouth of the Missouri, being about seven hundred miles in length. When we returned to our village in the Spring from our wintering grounds, we would finish trading with our traders, who always followed us to our village. We purposely kept some of our fine furs for this trade; and, as there was great competition among them, who should get these skins…. When this was ended, the next thing to be done was to bury our dead, such as had died during the winter. This is a great medicine feast. The relations of those who have died give all the goods they have purchased as presents to their friends — thereby reducing themselves to poverty, to show the Great Spirit that they are humble, so that he will take pity on them. We would next open the caches and take out corn and other provisions, which had been put up in the Fall, and then commence repairing our lodges. As soon as this is accomplished, we repair the fences around our fields, and clean them off, ready for planting corn. When our national dance is over — our corn fields hoed, and every weed dug up, and our corn about knee-high, all our young men would start in a direction towards sundown [across the Mississippi River into Iowa], to hunt deer and buffalo — being prepared, also, to kill Sioux, if any are found on our hunting grounds — a part of our old men and women to the lead mines to make lead — and the remainder of our people start to fish, and get mat stuff. Everyone leaves the village and remains about forty days. They then return: the hunting party bringing in dried buffalo and deer meat, and some times Sioux scalps, when they are found trespassing on our hunting grounds. At other times they are met by a party of Sioux too strong for them and are driven in. If the Sioux have killed the Sauks last, they expect to be retaliated upon and will fly before them, and vice versa. Each party knows that the other has a right to retaliate, which induces those who have killed last to give way before their enemy — as neither wish to strike, except to avenge the death of their relatives. All our wars are declared by the relatives of those killed; or by aggressions upon our hunting grounds. The part about returning with Sioux scalps may seem barbaric to our sensibilities but if we can step back and see what that process was about, it was really resource stewardship. Black Hawk says elsewhere in his narrative that the Creator placed the nations in their particular places but in actuality these bioregional borders were fluid. Changing climate and other factors brought about migrations. Nations patrolled their borders to keep out poachers and to protect their own winter provisions. Within their hunting range, they secured the balance of predators and prey. The Sioux were plains nations, horseback buffalo hunters. They were kept from expanding into the forests of the Sauk, Fox, and Iowans only by vigilance. Between the Sauk, Fox, and Iowans, there was a tenuous truce that permitted shared hunting grounds and provided for retribution when offenses were committed. 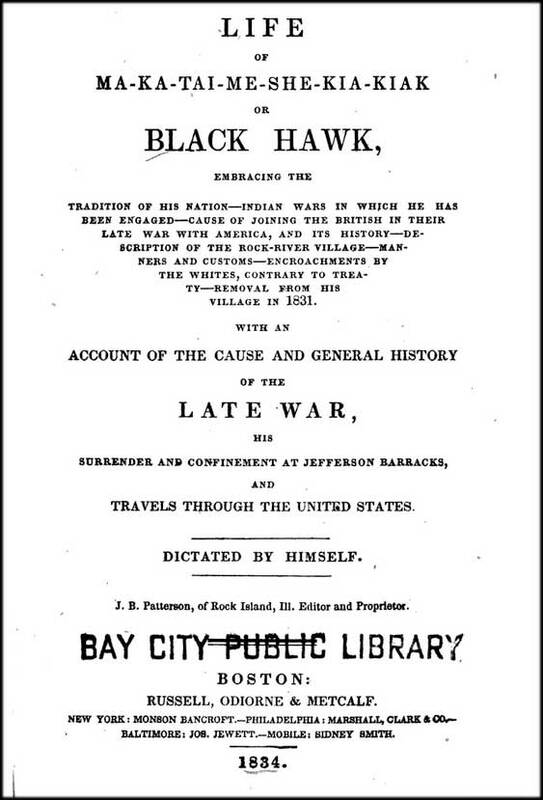 It might be noted that Black Hawk says they had lived on the Rock River for one hundred years. 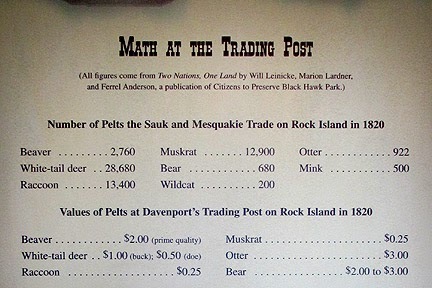 Indeed, the Sauk only arrived to the area in the 1730s, following the Second Fox War. During that conflict, occasioned by the Fox resisting being made French slaves (more than 1000 were held as slaves in New France) the French and their Huron allies pursued destruction of the Fox to such an extent that what had been one of the largest, most powerful and wealthiest nations in North America was nearly extinguished. The destruction of the Fox allowed the Sauk to settle where today is the Illinois Quad Cities. 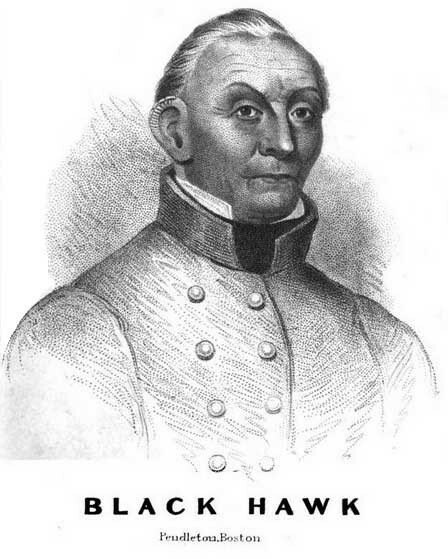 Black Hawk relates the story of a young brave who killed an Iowan. To keep the peace, he orders the brave to present himself to the Iowan village and surrender his life. The brave is overwhelmed with sickness, and his brother steps forward to go in his place. At the Iowan village, although the young braves taunt and want to kill the boy, the elders learn this story and decide to pardon the brother, sending him back to the Sauk with horses and corn. Black Hawk says the Sauk always respected the Iowans for their mercy and honor on that occasion. We find it difficult to imagine fitting the population of Moline into the lodges of the Sauk, Fox and Iowans and sustaining it on fish, corn, squash, beans, bear meat and dried venison. And yet, that is what 11% implies. These lives may seem overly simple to us, to the point of being boring, or brutish. 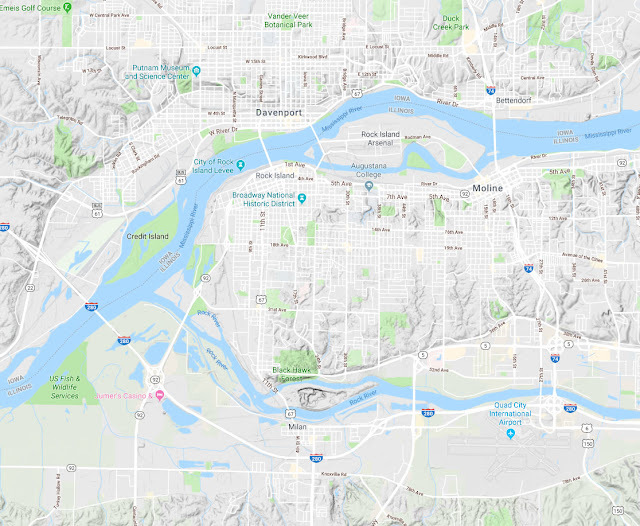 If we look at Quad Cities Illinois today, the Rock River running through, Moline city limits separated from Davenport Iowa by Rock Island in the middle of the Mississippi, we find it difficult to imagine fitting that population into the lodges of the Sauk, Fox, and Iowans and sustaining it on fish, corn, squash, beans, bear meat and dried venison. And yet, that is what 11% may imply. 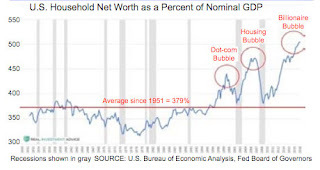 When we take an 11% per year decline slope out past negative 100%, and negative 200%, we take ourselves back to something more closely resembling the ways of our ancestors before the steam engine. 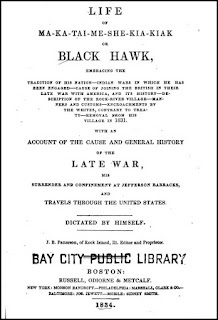 What I confirmed by reading Black Hawk's account is the same as we might learn from any number of anthropology studies; that voluntary simplicity and gift economies provide for all, allow ample time for leisure, celebration, and sport, foster honesty and integrity as the highest social values, and encourage exploration of natural spiritual powers through deep observation, revelation, and clairvoyant dreaming. 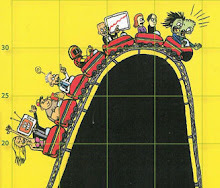 It is no worse than the lives we live now and in many ways better. This is why in the history of the American colonies those who switched sides and became Indians remained so, while Indians who tried out Western Civilization usually lasted only a short time in their strange surroundings before returning home. Most of us likely cannot conceive of how a society as complex and populous as modern techno-consumer culture could transition in a century or less to something resembling Black Hawk's village. We take half measures, like installing renewable energy, supporting a Green New Deal or joining transition towns, which are steps along the path, but not nearly enough to get where we must go. Next week we will have a look at David Holmgren's latest missive, the strategies of the Global Ecovillage Network and Ecosystem Restoration Camps, and how to adopt the most realistic patterns of living that can be sustained into a fragile, hazardous and uncertain future. I’ve never seen a specific, workable proposal. But what I do think is convincing is the idea that we have to be intentional about addressing or reversing harms and inequities that didn’t just happen on their own. In the aftermath of the superfloods now striking the former domains of the Sioux, Iowans, Fox and Sauk, one policy that might be worth considering is rather than spend billions of fiat currency to compensate farmers for losses and rebuild an unnatural economy there, to simply buy up all that river bottom land and give it back to the Nations still in exile in Oklahoma. Let their young people who want to do it rebuild a model that was once and for a very long time regenerative by design and could be again. You encourage me to do more and then tell you about it. Help me get my blog posted every week. All Patreon donations and Blogger subscriptions are needed and welcomed. Those are how we make this happen. PowerUp! donors on Patreon get an autographed book off each first press run. Please help if you can. I disagree. The only human activity that could cause near term human extinction is a nuclear winter. Even a hothouse earth scenario wouldn't come into full equilibrium for millennia and it is not certain that humans would become extinct even then. I do agree that living as the Sauk lived would be far more preferable than continuing with BAU until hothouse earth is inevitable. We should do everything we can to quickly enable as many as possible to live like the Sauk, but we won't. What is inevitable is that billions of people are going to die prematurely in the next few decades due to resource depletion and the conflict over access to the remainder of those resources. 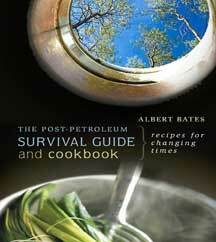 It would be better that this mass death happen soon enough that the hothouse earth path is avoided. 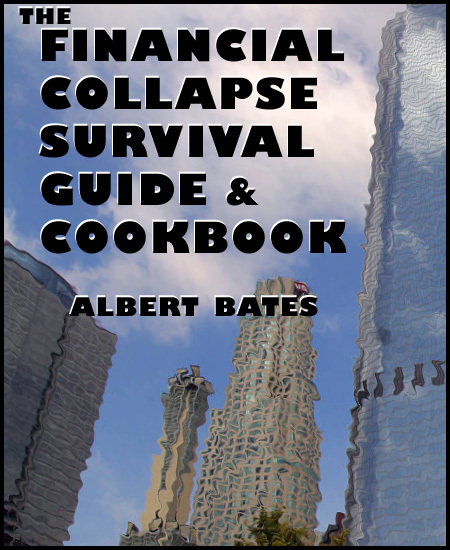 I keep hoping that economic collapse will do the job. If not, we get mass death plus a hothouse earth. If resource conflict leads to nuclear war, we get human extinction and a saved climate.